Dr. Fatimah Gilani is a board-certified ophthalmologist both in Canada and the United States. Educated on three different continents, she has a diverse background, that provides an international perspective. 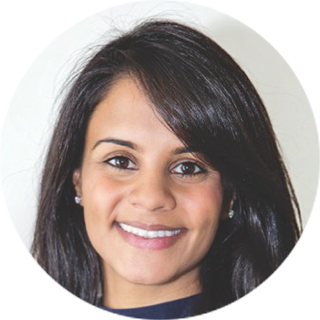 Dr. Gilani began her career at the Royal College of Surgeons in Ireland and subsequently completed her medical internship at the Baystate Medical Center, a hospital affiliated with Tufts University in Springfield, Massachusetts. She completed her ophthalmology residency at the University of Arizona, followed by a medical retina fellowship at NorthwellLongIsland Jewish Hospital and the Vitreous Retina Consultants of New York under the tutelage of world-renowned retina specialists Dr. Lawrence Yannuzzi, Dr. K Bailey Freund, Dr. William Schiff and Dr. Gaetano Barile. Dr. Gilani is actively involved with clinical research and has written a number of published journal and magazine articles. She grew up in Kenya and throughout her medical career has maintained an interest in alleviating blindness in developing countries and has participated in charitable work in Kenya, Pakistan, Vietnam, Mexico and Honduras. Dr.Gilani is highly trained in the management of cataracts and anterior segment refractive surgery procedures. She also specializes in the management of age-related macular degeneration, diabetic retinopathy, and other vitreoretinal disorders.